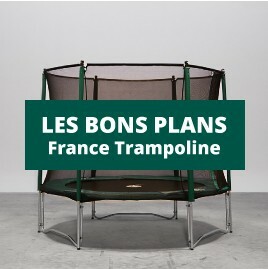 Trampoline de qualité. Expédition et livraison rapides. The Hobie Cat catamaran was designed in 1967 by the American surfer Hobart Alter. This catamaran with asymmetrical hulls became hugely successful when it arrived in France. Check out our Hobie Cat catamaran trampolines ! With the help of seasoned professionals, we decided to design trampolines especially made for the Hobie Cat range. These trampolines are available for the Hobie Cat 14, 15 16, 17 and 18. Technically identical to the originals they will perfectly fit on your catamaran. We can also make them to measure. We have chosen to use mesh material, for optimum solidity. You can also choose a cheaper option using canvas. Our trampolines are all equipped with two abseiling straps. We use steel eyelets and a PVC protective covering is applied to some of the more fragile areas of the canvas. Hobie CatThere are 10 products. The Hobie Cat 15 trampoline is made using black mesh, it has one single piece and is adapted to your Hobie cat. The Hobie Cat 16 trampoline is made from black meshand has three pieces. Trampoline adapted to your Hobie Cat 18 catamaran made from mesh fabric (1 piece). Trampoline designed for Hobie Teddy.